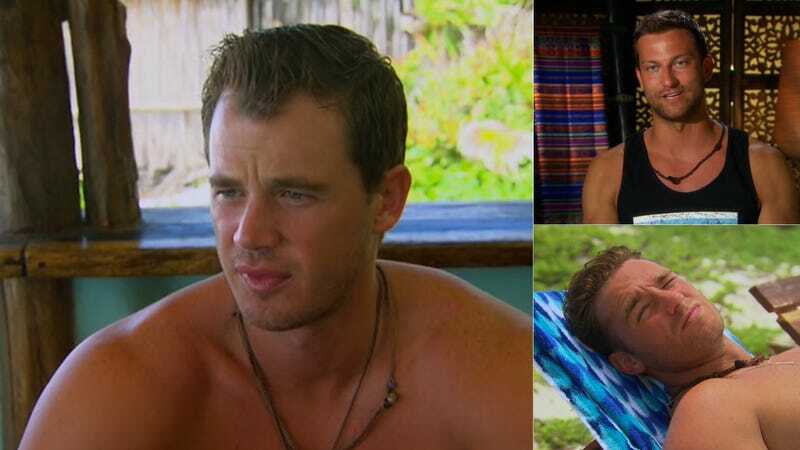 Why: Do Men on Reality TV Shows in Tropical Locations Wear Necklaces? The Question: Why do all the men on reality television shows set in tropical locations wear hideous man necklaces? I've been reading your blog since Jason's season, but have never sent an e- mail. I noticed some people have asked about the necklaces the guys are wearing this season on BIP. I don't tweet, but follow some of the contestants on Twitter. I noticed fans asking them about the necklaces, and some of the guys tweeted that they fought wearing them, but had to b/c they were their microphones for the show for when they weren't wearing a shirt. As there is no explanation for this bracelet, it is also possible that the tropical vibes might just get to them. This has been "Why? ", a column by Kate Dries.